It has been nearly 10 years since I decided to go it alone and leave the comfy bosom of a regular wage and take charge of my own destiny. I have been lucky enough to also find out that I have managed to come in at number 19 on their Top 100 Business Mums chart. An accolade that has tipped my year as a really succesful one in the business world my niche business idea was started in. So what have I done to make things nicer for me? A usable and stylish desk (I love LionsHome for their funky range!). My desk needs to be functional for both myself and my husband so it’s important to have space for my things to be put away in case he wants to get the tech he needs to make music with. A decent chair is a must. If you spend a lot of time at your desk you need to make sure you have a supportive chair. This is where style and functionality really need to meet. 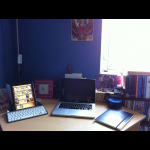 My laptop and my iPad – both apple. I have a Mac Book Pro and am probably not using it to it’s full potential at all but I am getting there. Having a decent computer makes me feel very business like and having something nice to write on has been great! Notebooks and a diary with enough space for daily tasks as well as future deadlines is a must. When it comes to organising I’m definitely a paper and pen woman so I need to have a nice notebook in to ensure that I can scribble notes from meetings and emails down then organise around them. My printer and in turn having enough printer ink cartridges to print invoices, plans, wall charts etc. To be honest it has been super handy to scan and print items for family as well as my accountant. An accountant is a must! We got one a bit later in the year but she has been worth every penny so far. Plus the stress of thinking is my tax and national insurance up to date does get on top of you. An accountant will manage this all for you and make sure you avoid filing your accounts on or after the deadline (meaning fines which you may not be able to afford). And friends and family – all supportive and full of encouragement. Having a person to bounce ideas off has been a new element for me this year and it really does help. Also having a husband that gives me some of our weekend time to work. What have been the things or people that have helped you this year? 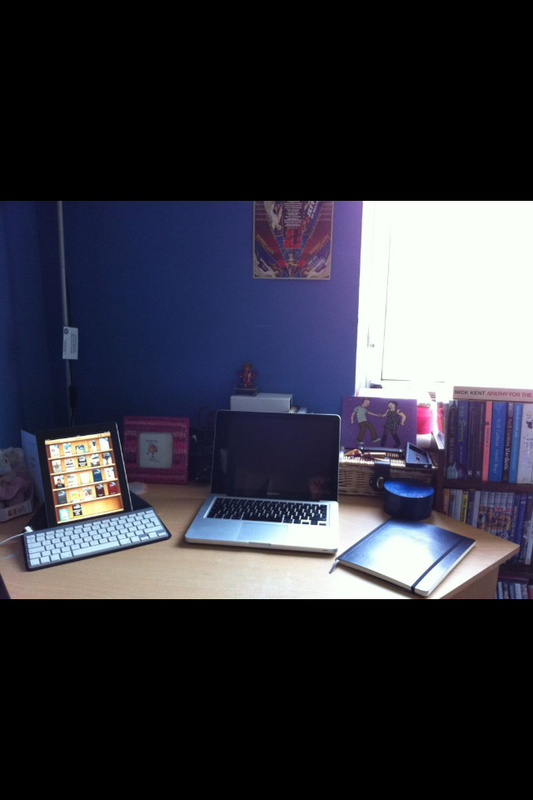 If you’re setting up your home office I’d love to see some photos or Pinterest boards of your inspiration. Previous Post Have You Got Your Family Insured?